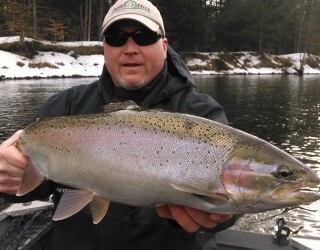 River Guide Service for Salmon, Steelhead, Trout, Catfish, and Smallmouth Bass. as a result of emergencies. Please no studded wading boots in boat. All fishing gear is provided. Gratuities are greatly appreciated by our guides! Our guides work hard to make sure you have the best experience possible. Sometimes the fish cooperate sometimes they don’t. 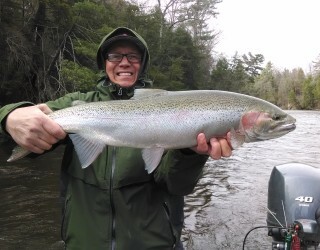 Regardless of the number of fish you encounter rest assured your guide will do his best to provide a successful day on the water or in the field. Thank you for your interest in Pine Hill.